The Milwaukee Bucks made official this morning, the signing of veteran forward Kenyon Martin to a 10-day contract and releasing second-year guard Nate Wolters. Martin is expected to take part in the team shootaround with the Bucks this morning and then be available tonight when they face the Minnesota Timberwolves at the BMO Harris Bradley Center. Martin is being reunited with his former New Jersey Nets and New York Knicks teammate Jason Kidd, now the head coach of the Bucks. Wolters saw limited playing time this season with the Bucks after playing in more than 50 games last season. The Bucks will have just three games in the next 10 days. Two of them are in the next two nights against Minnesota and Chicago. The Bucks will then face the Knicks at O2 Arena in London on Thursday. The Milwaukee Bucks are reportedly ready to sign power forward Kenyon Martin to a 10-day contract. ESPN.com cited sources saying the Bucks have committed to add Martin to their roster this week, perhaps as early as today (Thursday), after letting a player go to open up a spot. Martin teamed together as a player with Bucks coach Jason Kidd, leading New Jersey to back-to-back trips to the NBA Finals in 2002 and 2003. Martin auditioned for the Bucks last week and is expected to help them try to fill the front court void left by the ongoing absence of center Larry Sanders. The Milwaukee Bucks signed their first round draft pick, Jabari Parker to a four-year contract worth $22.3 million. The last two years are team options, which is standard in rookie-scale deals for first-round draft picks. Parker will make $4.9 million in his first NBA season and $5.2 million in his second season. The final two years of the deal would pay $5.4 million and $6.8 million. The Bucks were looking to wrap up the deal with Parker prior to the team’s first summer league practice this week in Las Vegas. Milwaukee Bucks point guard Nate Wolters suffered a left ankle injury during Summer League practice on Wednesday but said he hopes to be able to play in the teams Summer League opener on Friday. The Bucks will face the Cleveland Cavaliers at 7pm on Friday night. 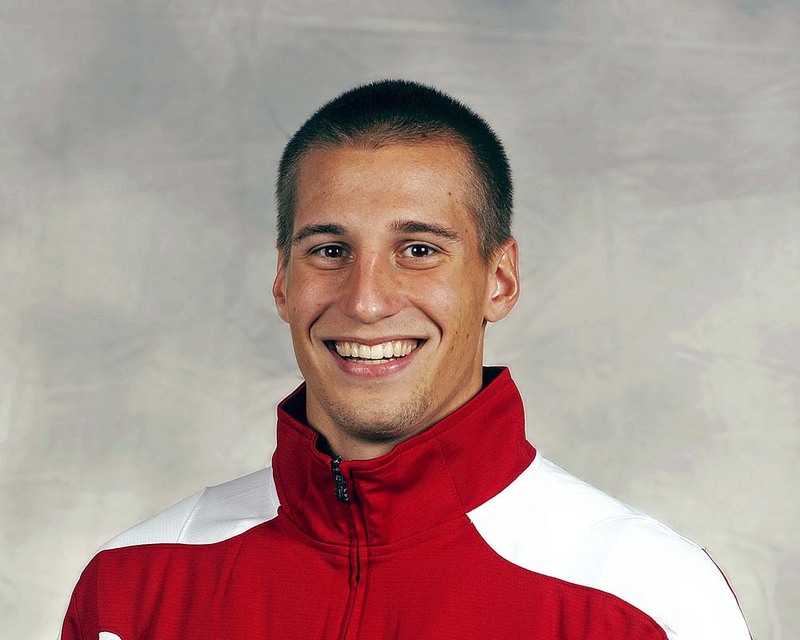 Wolters and former Wisconsin guard Jordan Taylor are the point guards on the Bucks summer league roster. Bucks coach Jason Kidd said Wolters will be fine and hopefully ready to go on Friday. week from today against Cleveland. Current Bucks players, Giannis Antetokounmpo, Nate Wolters and Chris Wright will lead this year’s squad that is headlined by the second-overall pick in the 2014 NBA Draft, Jabari Parker. One of Milwaukee’s second-round picks in this year’s draft, Johnny O’Bryant (38th overall) will also be on the team, along with former Badgers Ben Brust and Jordan Taylor. Next Friday’s Summer League opening matchup against Cleveland will feature a matchup of the top two picks in the draft, Andrew Wiggins and Jabari Parker. The Bucks will continue their opening round with games against Phoenix on Sunday, July 13th and Utah on Monday, July 14th. Following the opening three games, the participating teams will be seeded for the single-elimination tournament that will culminate in a championship game on July 21. A consolation round will be held for teams failing to advance, ensuring that each team is guaranteed to play as least five games. The Bucks will hold three days of practice, July 8, 9 and 10 before taking off for Las Vegas. It took 53 games for the Milwaukee Bucks to win 10. That 10th victory came last night, the first game back from the all-star break, a 104-100 win over the Orlando Magic at the BMO Harris Bradley Center. The Bucks (10-43) snapped a four-game losing streak as Caron Butler came off the bench to score 21 points, hitting 7 of 13 from distance. Brandon Knight added 18 points and seven rebounds for the Bucks, who sent the Magic to their 13th straight road defeat. Aaron Afflalo, who scored 36 against the Bucks in a game earlier this season, was held to 21 last night. Rookie Nate Wolters (15 pts, 8 rebs., 4 assts.) buried a three with 29-seconds left to put the Bucks in the lead for good. The Bucks wound up hitting 12 of 26 from three-point distance and 22 of 30 at the free throw line. The San Antonio Spurs (17-4) roughed up the Milwaukee Bucks (5-17), 109-77 at the Bradley Center on Wednesday night. The Bucks played one night earlier and pulled out a 78-74 win in Chicago. On the second night, they lacked energy and didn’t compete at all against the Spurs. Tim Duncan scored 12 of his 21 points in the first quarter as the Spurs jumped out to an 18-point lead. John Henson, who had a big night in Chicago the night before, was held to 4 points and 8 rebounds against the Spurs. Besides Duncan, five other Spurs scored in double figures, while not a single Bucks starter would score in double figures on the night. The Bucks did get 18 points off the bench from rookie Nate Wolters. Giannis Antetokounmpo had 15 points and 7 rebounds. Milwaukee Bucks point guards Brandon Knight and Luke Ridnour are doubtful for tonight’s game in Boston against the Celtics. 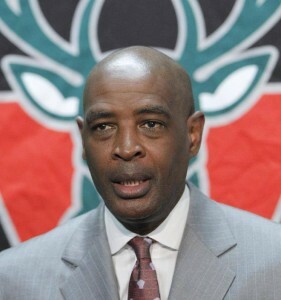 That means, Bucks head coach Larry Drew will be forced to play point-guard by committee, going with O.J. Mayo, Gary Neal and rookie Nate Wolters. Neal played some point guard in Wednesday’s season opening loss to the Knicks. He scored 16 points and dished out 5 assists. Wolters also played 30-minutes and scored 9 points. The Celtics are playing their home opener against the Bucks tonight. They lost their season opener at Toronto on Wednesday. The Bucks will play their home opener against Toronto on Saturday night. fall behind by 25 points before losing 90-83 to the New York Knicks at Madison Square Garden. The Bucks lost starting point guard Brandon Knight to a hamstring injury early in the first quarter. Meanwhile, veteran point guard Luke Ridnour was already a pregame scratch because of back spasms. That left rookie second round draft pick Nate Wolters to run the ship.